AFRAID OF GETTING ALLERGIC REACTIONS TO EARRINGS? 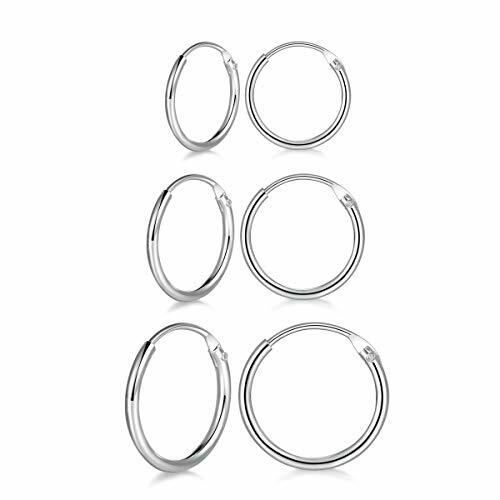 Our Triple Hoops are made with surgical steel posts (the same metal used in surgery) and are safe for most ears. We guarantee them for life and offer them at real savings. EASY TO PUT ON - We design these to be easy to put on and the posts are long enough to be secure so they don't fall off. Light, but just enough weight to give them a nice feel. Catch someone's eye with some sparkle! PERFECT FOR ANY OCCASION - Great for both formal or casual, they go with any outfit. You put them on and forget you're wearing them, they're so light. Excellent as a gift, they come in a pouch for easy gift giving. Enjoy life with a splash of gold. UNCONDITIONAL LIFETIME WARRANTY. These have a warranty for life against any damage or wear. Enjoy life, have fun, pursue your dreams. LIVE, LOVE, LAUGH and just know that you are covered. LOOK AND FEEL LIKE A MILLION BUCKS! We believe jewelry can make a person look and feel amazing. We design it just for that purpose - to make you look and feel like you're wearing solid gold without the high cost. Walk into a room and the eyes go to you and your earrings. We won't tell if you won't. ✨ DO YOU GET AN ALLERGIC REACTION TO EARRINGS? Our earrings are made with surgical steel posts and are lifetime guaranteed. 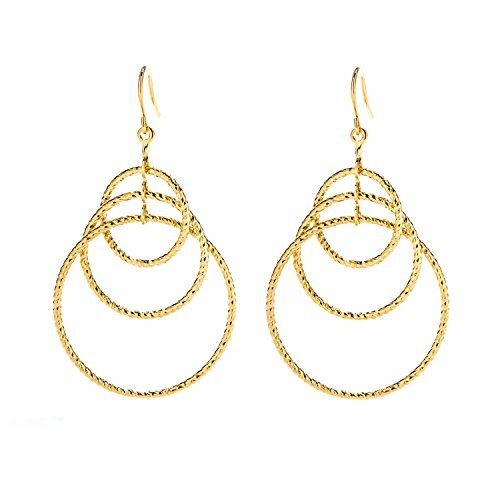 Our hoops are made to be hypoallergenic as they are made with surgical steel posts (the same as is used in surgery). Very few react to our earrings. These are light and easy to wear! &#x1F31F; THESE EARRINGS ARE LIGHT AND EASY TO PUT ON - the design of the posts make it easy to quickly put on and secure so they won't fall off. They aren't so heavy that they pull hard on your ears, but have just enough weight to give them a nice feel. ✨SAFE FOR MOST SENSITIVE EARS - We make these as safe as possible for sensitive ears. We use surgical steel, which is used in surgery so they don't get rejected. Very few people have problems with these, (less than .05%) and if you do you may always return them. &#x1F31F; UNCONDITIONAL LIFETIME WARRANTY. These have a warranty for life against any damage or wear. Enjoy life, have fun, pursue your dreams. LIVE, LOVE, LAUGH and just know that you are covered. &#x1F381;DESIGN: simple and chic,perfect rose stud earrings to fulfillment any jewelry collection.Beautiful gifts for women. 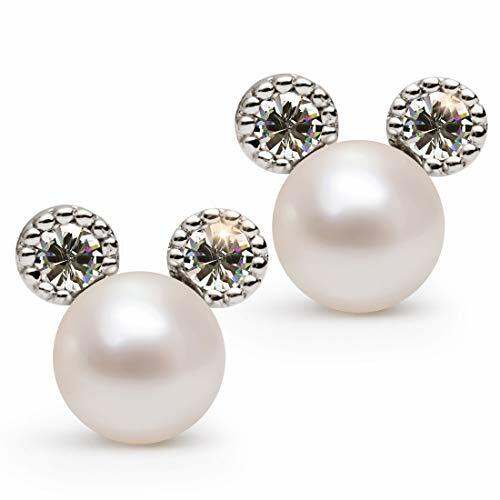 &#x1F381;MATERIAL: 925 sterling silver,tarnish resistant,hypoallergenic,nickel-free,lead-free,cadmium-free and does not contain any allergic element,it is comfortable to wear and no harm to sensitive ears,never worry about irritating your ears. 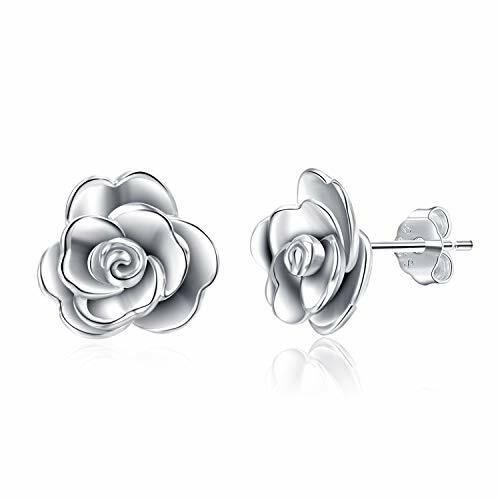 &#x1F381;SIZE: rose flower size: 9.88*10.5mm/0.39*0.41in,coming with 925 sterling silver backs. &#x1F381;GIFT BOX PACKAGING: this sterling silver stud earrings comes with LUHE Jewelry gift box, perfect for any gift giving occasions. Great gifts for daughter, gifts for women, gifts for mom, gifts for wife, gifts for aunt, gifts for best friend, etc. Ideal Birthday Gifts, Anniversary Gifts, Christmas Gifts, Graduation Gifts, Mother's Day Gifts, Valentine's Day Gifts, etc, or just as a surprise to remind that special one how much you care! &#x1F381;GUARANTEE: 100% satisfaction + free return, LUHE Jewelry provides 30 days money back guarantee（free replacement or full refund)for any reason.please feel free to contact us first if you're not completely satisfied. Design : 30 Pairs different delicate Style include (animals Earrings),(Unicorn Earrings),(Food earrings). 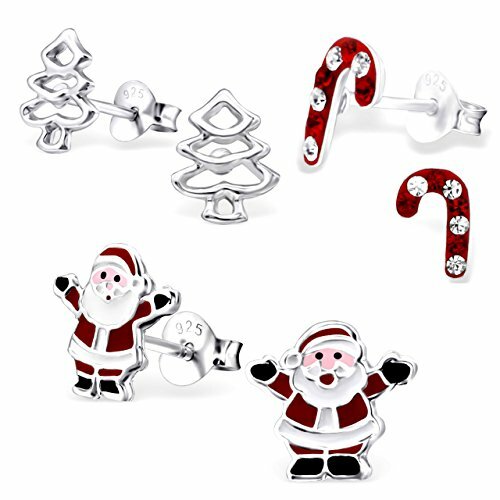 Material : Made with Eco-friendly Material, Stainless Steel ear-pins, Surely Lead and Nickel Free. Good and Health for Sensitive Ears. Size : Please refer to the size picture. Gift : Packaged by exquisite pink gift box, convenient for daily collection of jewelry, is the perfect gift to your daughters, granddaughter or young girls etc. 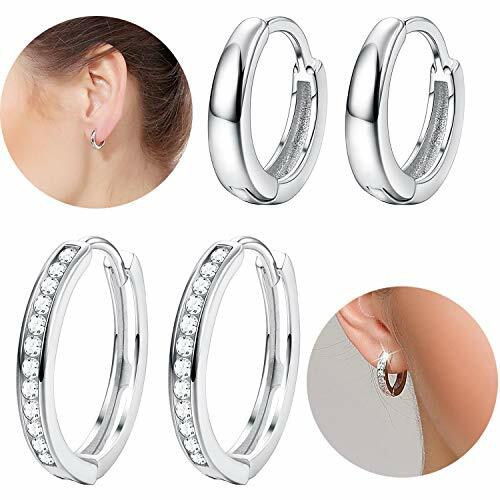 ❤ Stainless Steel quality Materials Made;Hypoallergenic, sensitive ear health,Lightweight and comfortable to wear,Simple, stylish,classic, charming, suitable for any occasion,Suitable for piercing ears, easy to wear and remove,Sturdy buckle , overall very good,Fashion trends and pop styles,wear it to attract more attention and make you the focus of the crowd. ❤ Perfect gifts for Promise;Engagement,Wedding,Anniversary Day, Birthday to your girlfriend,wife,mom,Friend,Valentine's Day or Christmas Day,yourself or someone special. DO BROKEN CHAINS DRIVE YOU CRAZY? We have a 100% free replacement guarantee. We spent years finding the perfect Factory - ours are stronger than any others. We UPGRADED all our clasps to Lobster Claw Clasps; they don't get caught in your hair like spring rings do. 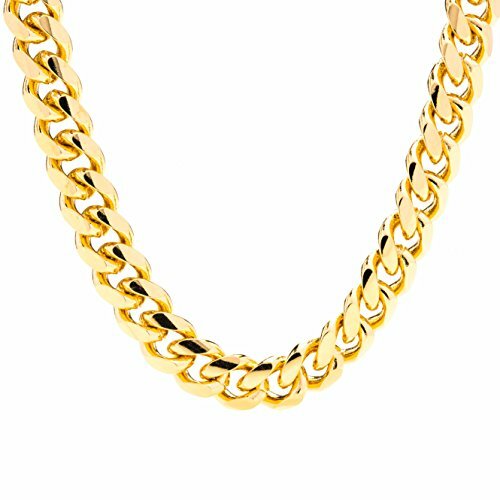 YOU WANT TO GET LOTS OF COMPLIMENTS ON YOUR SIVER JEWELRY and you will with our chains. We know how important your looks and wardrobe are to you - we help you accessorize perfectly with our fabulous chains. They are simply the BEST! YOU GET A FREE GIFT WITH EVERY CHAIN. It has essentials every woman needs for her jewelry, it's called the MINI-JEWELRY SURVIVAL KIT. It has an anti-tarnish square, several storage bags and earring backs. EVERY CHAIN COMES IN A LOVELY SILVER GIFT BOX. DESIGNER STERLING SILVER STANDS FOR QUALITY, integrity and customer service second to none. Our Mission is to empower women just like you to look and feel their best every day. We're a small family owned business in the Jewelry Business for 30+ years. EXCELLENT SOUND & Lightweight. 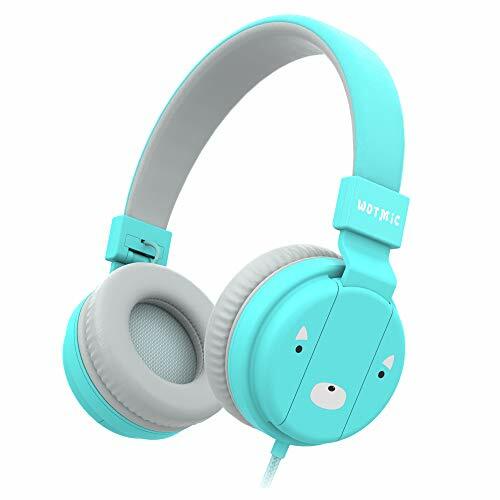 Stereo bass headphone with excellent sound effect, 3.5mm plug compatible with all 3.5mm jack devices.It only weighs 8 ounces, so it is a lightweight design for kids aged 3 and up, and won't become their burden. DURABLE & NOT TANGLE. 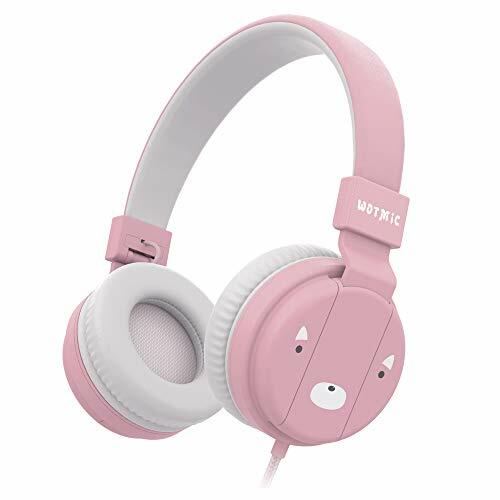 The headphone cord length is 3.93 ft (1.2m), using high quality cloth, so it's very durable, and not tangle, suitable for kids, children, not easily damaged. 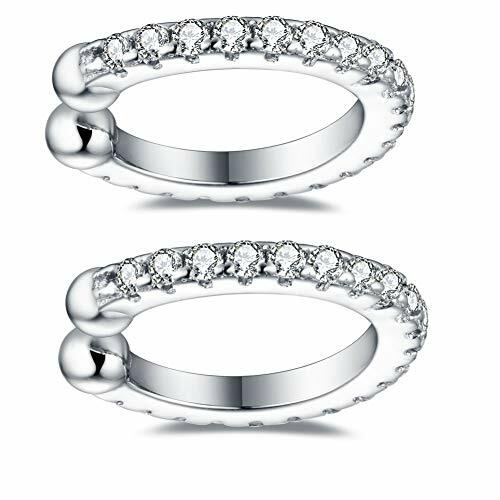 CHOOSE YELLOW GOLD OR WHITE GOLD: Available in 10K Yellow Gold or 10K White Gold. If one of the Metal Types is not showing it is currently sold out. REAL GOLD: 10 Karat Yellow Gold Kite Studs with Real Diamonds. Since these are authentic gold and diamonds they can always be cleaned and restored to look and feel new, even after many many years of use. REAL DIAMONDS: These Diamond Earrings are made with .25 Carats of Genuine Diamonds. Now you can walk around with confidence knowing that the stones on your ears are real diamonds and aren't synthetic or cubic zirconia stones. NATURAL DIAMONDS: Our Diamonds have not been treated, enhanced, or manipulated in any way. 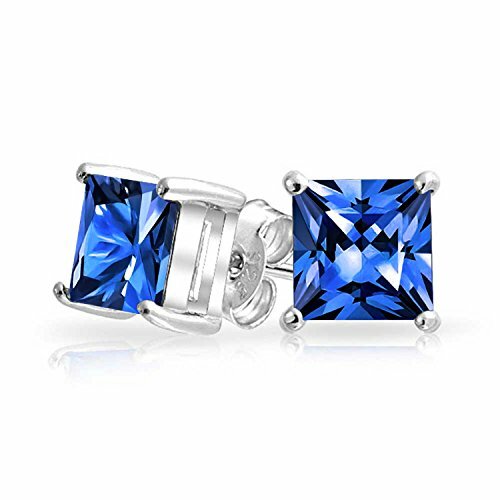 1 Pair Round CZ and 1 Pair Square CZ Stud Earrings in the Same Size for One Set, Acceptable and Affortable Price by Your Choice. Made by Top Quality Stainless Steel with AAA+ Sparkly Cubic Zirconia, 100% Shiny all the Time. Stainless Steel Posts are Safe and Health to Wear, Easy to Adjust. 20G(0.8mm) Thickness of the Posts, Wearing Comfortable and Suitable for Your Ears. Using Professional Hand Polished, Great Black Electroplating, Checking Each One Carefully, Make Sure You Will Recieve the Best and Perfect Earrings. Promise 100 days Products Exchange or Money back Guarantee. Only wait 1-7 Days Ship From USA. 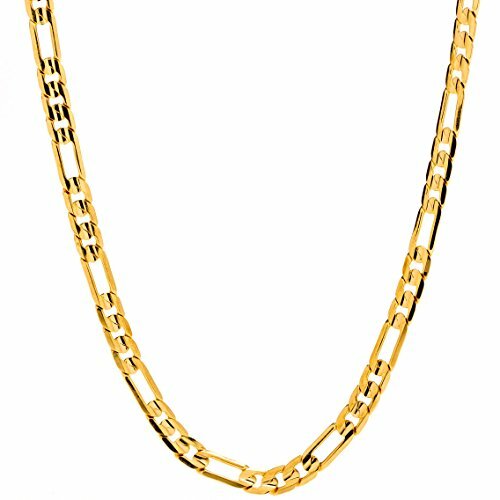 ✪14K SOLID WHITE GENUINE GOLD✪ This product is made in the USA of genuine solid 14K White Gold and each piece is carefully trademarked with the metal purity stamped 14K or 585 and that guarantees the quality and genuine craftsmanship. 2 mm Thickness Gauge strong sizable pair of fine jewelry. ✪TIMELESS BEAUTIFUL DESIGN - FASHION NECESSITY✪ They can be worn day or night, with any outfit from casual to dressy. So light & so comfortable! 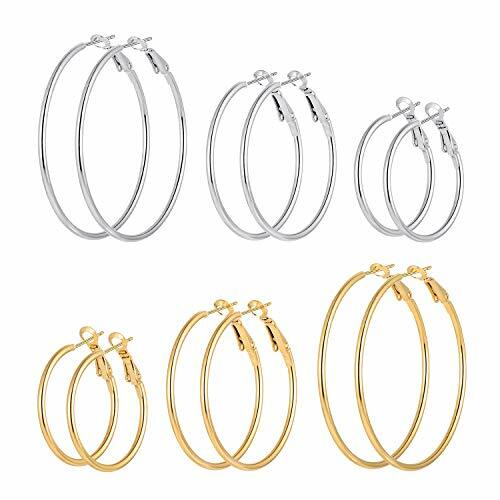 Add these timeless hoops to your fine jewelry collection and wear for decades to come. No matter what your personal style is - from boho to preppy or sporty to conservative - these earrings will go seamlessly with your entire wardrobe. 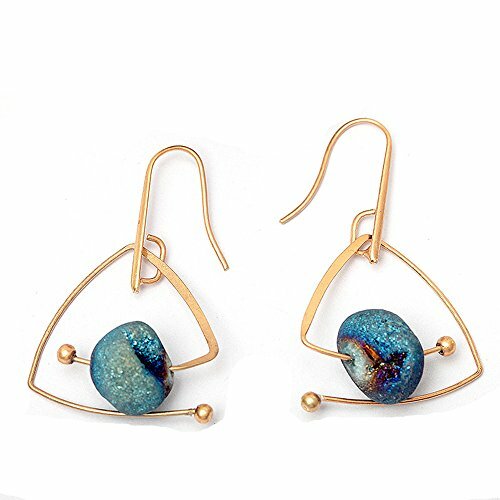 ✪EXCEPTIONAL QUALITY - WEAR COMFORTABLY✪ Free of lead and nickel, these earrings are hypoallergenic and will not irritate sensitive skin. Wear in comfort for years to come. The easiest way to apply these hoops is to hook the post to your ears from back-to-front, that way you can easily see where the post goes into the hoop. ✪AVAILABLE IN MULTIPLE DIAMETER - FOR MULTIPLE BODY PIERCING✪ Diameters Available: 0.50 Inch, 0.60 Inch, 0.70 Inch, 0.80 Inch, 1.00 Inch, 1.20 Inch, 1.45 Inch, 1.80 Inch, 2.00 Inch, 2.50 Inch. For Segment Septum Lip Nose Round Hoop Tragus Helix Cartilage Daith Inner Outer Conch Ring Ear Piercing Earrings. ✪PROUDLY MADE IN THE USA✪ Crafted in Los Angeles, California - The City of Stars. Each precious piece is carefully packed in our beautiful gift box. We trust that you will really enjoy our product and it would make a great gift for all!THE PERFECT- BEST VALENTINES DAY GIFT, MOTHER'S DAY GIFT, BIRTHDAY GIFT Whether its a birthday, holiday, a special occasion, or just because, jewelry is always the perfect gift. 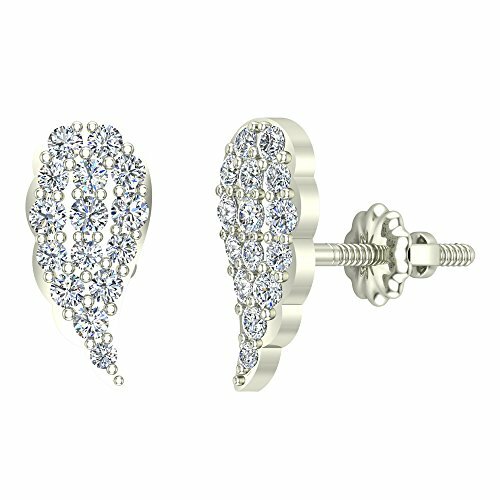 ♥SUPERIOR QUALITY - Our diamond earrings are crafted with high-grade quality Sterling Silver. The Natalia Drake Miracle Diamond earrings feature round-cut diamonds. Perfect for anyone that has everything and will be sure to elevate your look. ♥PERFECT GIFT - Wrapped in a classic jewelry box, a thoughtful present for any man or woman who has pierced ears; mom, dad, wife, husband, boyfriend, girlfriend, best friend, sister, brother or yourself on Christmas, Birthday, Anniversary, Mother's Day, Father's Day, Valentines Day, or just send as a surprise gift for that specialsomeone in your life to remind them how much you care! Gifts Package:Earrings diameter 0.5 inch,packaged in an elegant jewelry gift box to ensure a smile on your loved ones face. Perfect for Any Occasion: birthday gift, valentine's day gift, engagement, promise, wedding, anniversary, gifts for women, gifts for mom, gifts for mother in law, gifts for wife, gifts for daughter, gifts for aunt, gifts for best friend, girls, teens, bestfriend or just about any other occasion. Satisfaction Guarantee: 100% satisfaction and money back guarantee. If there are any problems with the purchase, please feel free to contact us, we will help to fix the problem. 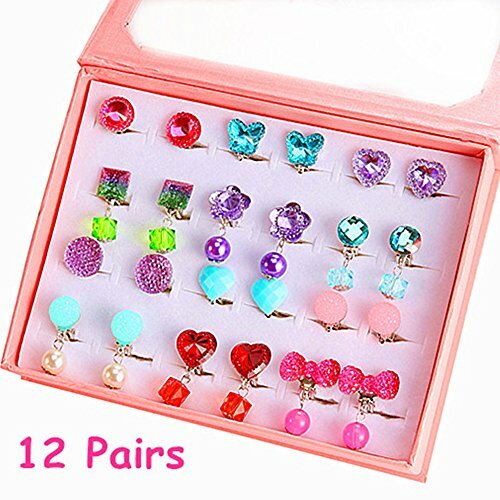 UNIQUE DESIGN--Designs of 12 pairs sparkly clip on earrings that will make your kids mesmerized. Shown as picture. COMFORTABLE--Clip on style earrings, each earring clip with a soft earring pad to protect your ears from pain. All the products have been tested and are safe for use by kids. LOVE MEMORIES--They are packed in a box. Perfect for birthday goodie bags, pretend play and dress up rings, tea party, treasures box and more. CUSTOMER SERVICE--The box comes with a glue stick. If the rings take off, please use the lighter to ignite the glue stick, and then paste it again. 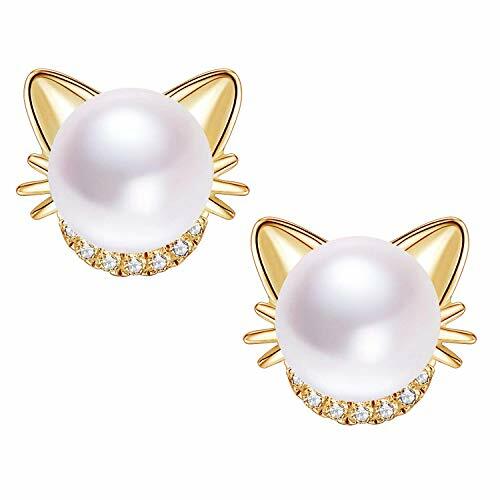 These pair of cute cat earrings are made of AAA quality, freshwater cultured pearl with 18K Gold plated sterling silver. 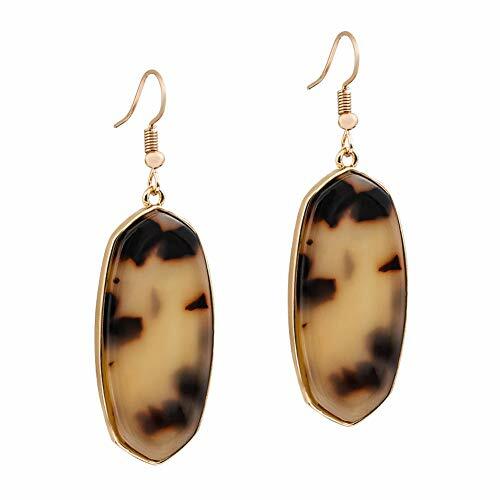 ✦ SAFE TO WEAR ✦ You can comfortably wear these earrings all day long. 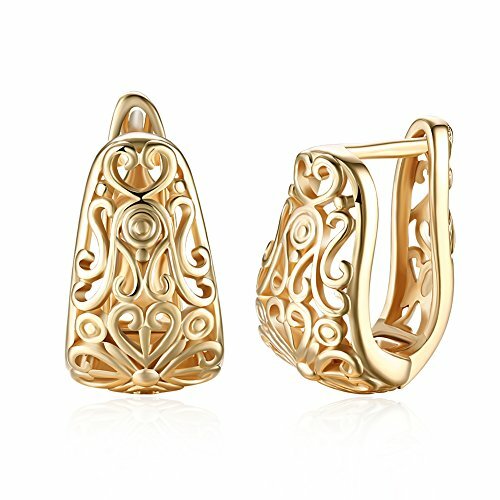 Set in .18k gold plated Sterling Silver posts and ear backs, these are safe for sensitive ears. 100% NICKEL-FREE AND HYPOALLERGENIC. ✦PERFECT GIFT ✦ Come with an adorable jewelry box. This is an ideal purchase your daughter, niece, granddaughter and cat lovers for Christmas, birthday gifts. ✦ COMFORTABLE ✦ Lightweight, easy to take in and out. Comfy, secure fit for little girls and womens with pierced ears. ✦100% SATISFACTION:✦ All JORA's earrings offer Money-Back Guarantee, Please contact us with any questions. We are always here to help. 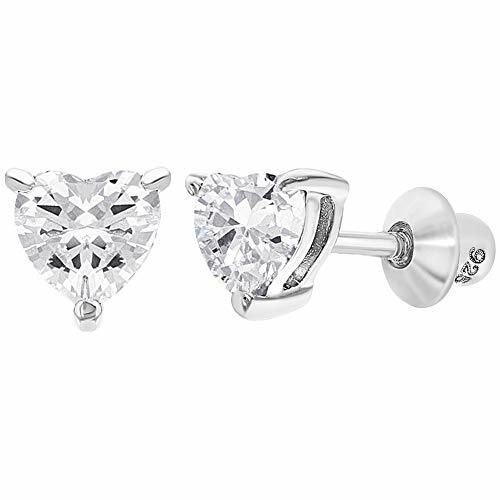 ♥ High Quality Materials ~ S925 Sterling Silver, 18K White Gold Plated CZ Stud Earrings. Double Backings: S925 silver backings and plastic backings. Materials are Lead and Nickel Free, Hypoallergenic, Good and Health for Sensitive Ears. 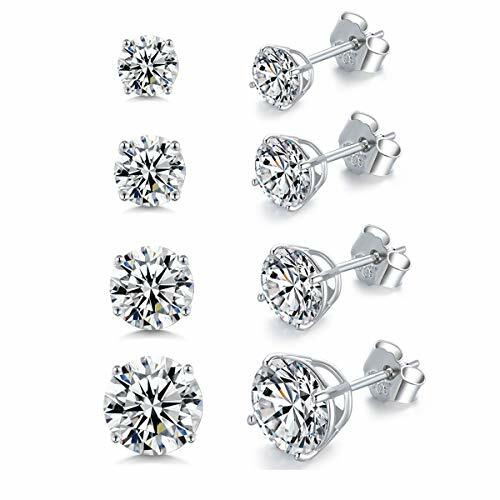 ♥ 1 Order Includes 6 Pairs Diamond Stud Earrings in 6 different Popular Diamond Sizes: 3mm=0.12", 4mm=0.16", 5mm=0.2", 6mm=0.24", 7mm=0.28", 8mm=0.31". Perfect Sizes for Thin and Thickness earlobes, Standard Lobes, Middle Lobes, Upper Lobes, Helix, Forward Helix. Fashion Jewelry for Women, Men and Teen Girls. Fit for any occation any suit. ♥ AAA+ Cubic Zirconia(CZ) Inlaid that Reveals Brilliant Shine becuase of Excellent Cut / D Color / FL Clarity Simulated Diamond. 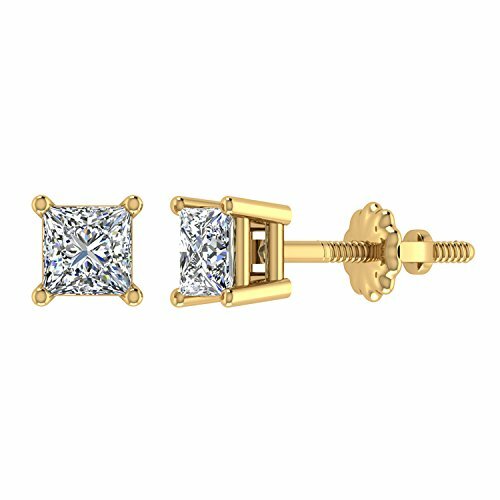 It's Classic Stud Earrings Design with shinny diamond stone. It sparkles from any angle viewing. 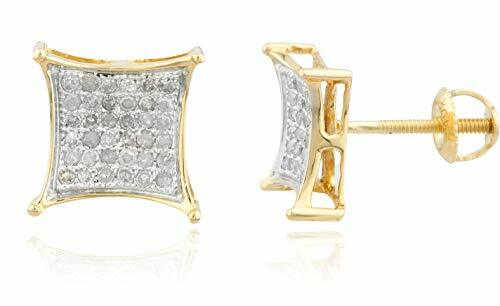 Top cubic zirconia earrings for daily wear. ♥ Coming with A Jewelry Pouch and Alcohol Cleaning Pad(Good for Sensitive Ears). Perfect Gift Choice for the One You Love or You Care. Ideal gifts for Valentines Day, Mothers Day, Anniversary Day and Birthday to your girlfriend, wife and mom and daughter and ourselves. ♥ 60 Days Money Back Guarantee or Exchange. You can have your money back if you are not happy. Or Drop us Email for any issues you have, we will and we can give you good solution. ♥ THE LATEST STYLE - This exquisite pair of petite earrings has been crafted of 100% real sterling silver just for you, and set with sparkling cubic zirconia stones of the highest grade. The CZ stones have been pavé-set for a luxurious designer-style sparkle! We love this look to dress up or down: from a casual day at work or school to a formal party or date night out on the town. The heart shape represents love and affection, a perfect sentiment to adorn your ears. ♥ SPARKLING CUBIC ZIRCONIA - Our cubic zirconia is a truly scintillating stone that is often mistaken for real diamonds, due to its brilliant light reflection, its exceptional clarity and sparkle. Cut with all the facets of expensive gemstones, choose our fashionable CZ jewelry when you want to add a pop of bling to your outfit! 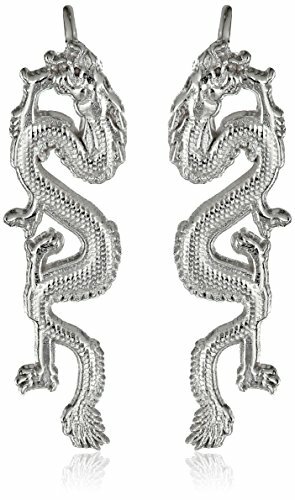 ♥ GENUINE 925 STERLING SILVER - You can comfortably wear these .925 sterling silver earrings all day long. Designed with single notch security posts and nickel free backs for a secure fit for all pierced ears. They are light weight, secure, and they won't weigh down or irritate your ears since they are nickel-free and hypoallergenic, safe for sensitive skin. ♥ PERFECT GIFT - Our jewelry comes to you wrapped in an adorable jewelry box, making it a thoughtful present for your mom, sister, daughter, wife, girlfriend, BFF or even yourself! All our products come ready to give for Christmas, birthdays, anniversaries, Valentine's or Mother's Day, or simply to celebrate your best friend. Send a surprise to the special person in your life to remind her how much you care! ♥ 100% SATISFACTION GUARANTEED! - We are proud of the quality of our products, and we are sure you will be totally satisfied with your Jewelry for Life purchase. If you're not pleased for any reason, remember that our products are always backed by a 100% Money Back, No Questions Asked Guarantee for 30 days after purchase. ORDER YOURS TODAY! 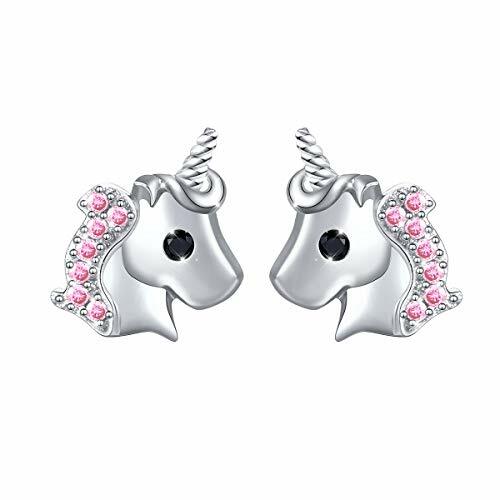 ♥PERFECT GIFT - Unicorn jewelry wrapped in an adorable jewelry box, a thoughtful present for your daughter, niece, granddaughter or BFF for Christmas, Birthdays, or simply just because! NECKLACE INFO: 14K SOLID GOLD- Closes with a Spring Ring closure. Great gift for a friend or loved one. High Polish Diamond Cut Finish Gives this Necklace an extra fine shine. PERFECT FOR SENSITIVE EARS: These Necklaces are 14K Solid Gold making them easy on your ears and non- irritating. 14K Gold Is easy on the skin, lead and nickel free making it perfect for those sensitive ears or those with allergies. 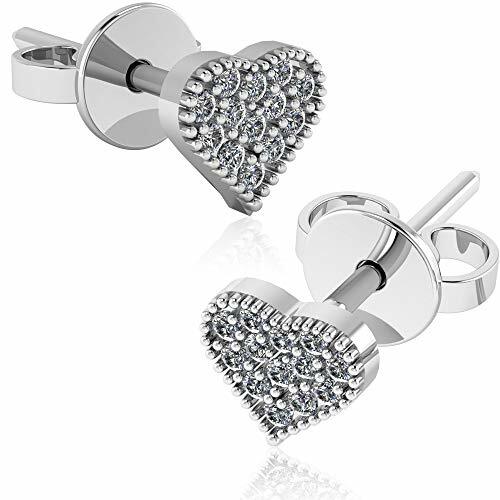 Screw Back Crystal Domed Heart Girls Cute Stud Earrings for Kids by Regetta Jewelry - Stainless Steel for Sensitive Ears - Screwbacks Stays Secure in Kids Ear. The Vintage Earrings are Light and Easy to Put On: The French Hook design make them easy to put on and take off. 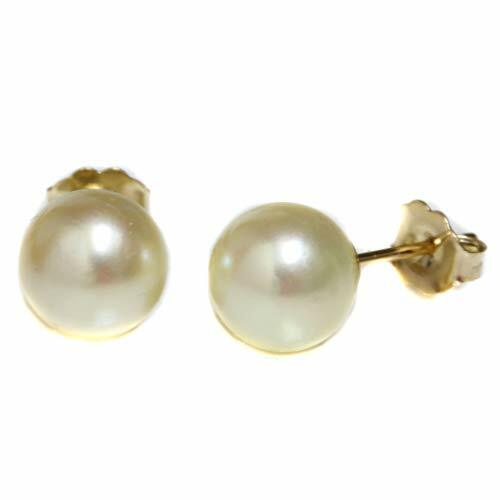 The Vintage Earrings Are Safe for Most Sensitive Ears: They are made by safe materials to avoid allergic. 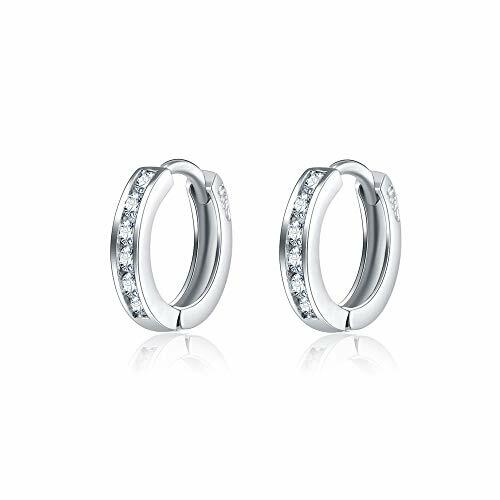 Fashion No Piercing Ear cuffs small hoop earrings-this pair of tiny crystal hoops earrings is for no pierced ears. 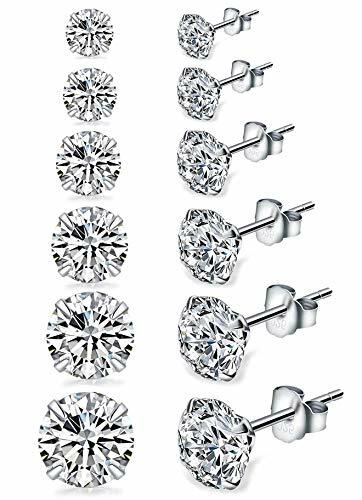 Earring Size: 13mm*14mm, shiny clear CZ pave diamond along the edge of your ear, small size is good for Cartilage Earrings, dainty and fashion. 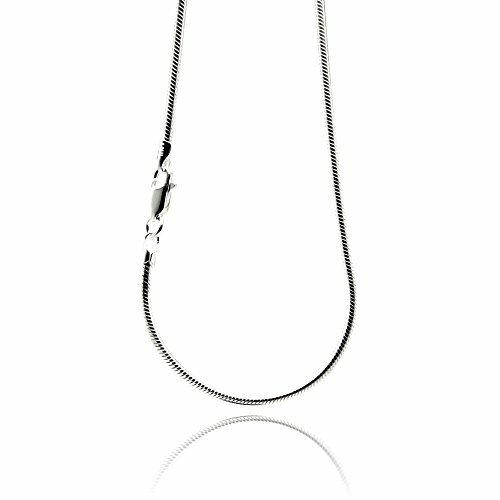 Material: Genuine 925 sterling silver with white gold finishing, hypoallergenic, Lead-free, Nickel-free, it is a good choice for Sensitive Ears. Sparkling AAA Cubic Zirconia- Micropave setting,delicate, bling, pure and pretty. Twinkling Specially in light and sparkly. Sweet and unique zircon clip on hooped earrings with rhinestones, elegant huggie mini earrings for Women Teen Girls. The Sparkling stones can highlight your appearence, grasp everyone's eyes in your party. ONE PAIR Packed In Black Velet Pouch. 30 DAYS GUARANTEE POLICY. . Perfect gift on weddings, Christmas, Mother's Day, Valentine's Day, anniversaries as well as birthday for your beloved ones, best friend, sister, mom, daughter, girlfriend and so on. ❤ 【LIMITED TIME NEW RELEASE PROMOTION PRICE 8.99, Order it now!】Made of fine 925 Sterling Silver. These tiny cartilage earrings hoop are hypoallergenic, tarnish free and nickel free, which is good for sensitive ears. ❤ 3 PAIRS A SET: 8mm(0.32 Inch). 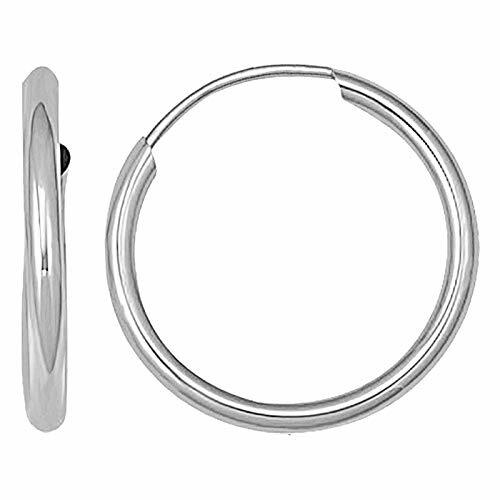 These mini unisex hoop earrings are lightweight and comfortable, even no feeling for sleeping. ❤ MUTI USE: Thin piercing needle is good for small piercing hole. 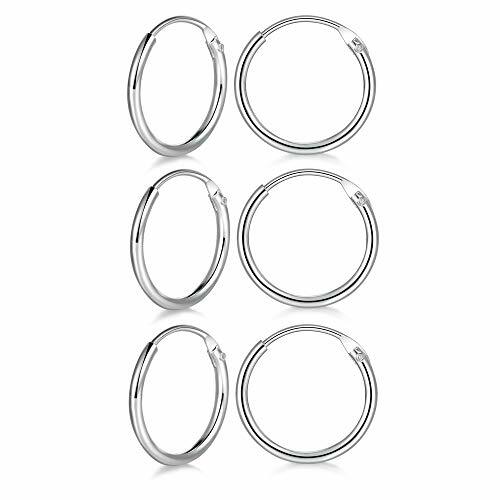 It can be used as cartilage earrings hoop, nose ring, lip ring, belly button ring and other body piercing hoop.Unisex design can be for men, women and toddler little girls. ❤ GREAT GIFT CHOICE: These delicate silver hoops are not only a good choice for daily dress up, but also perfect to be a Birthday present to your baby girl, Valentine's Gifts, Mother's Day Gifts, Christmas Gifts,Anniversary Gifts,Wedding Gifts,etc. These princess cut earrings are a stunning way to accessorize, with a simulated sapphire focal point. Perfectly complimented by the .925 silver frame, these beautifully delicate, 7mm studs will match any outfit, and make a great gift for anyone with pierced ears. Show your love for the Earth and your sweetheart by choosing cubic zirconia. Lab - created cz reduces destructive impact caused by the mining of diamonds, and is virtually flawless. Pour out your heart instead of your wallet and splurge on a trip or new house. Please Confirm You Buy from "Canggai'store" and Fulfilled by Amazon, Otherwise is Counterfeit. 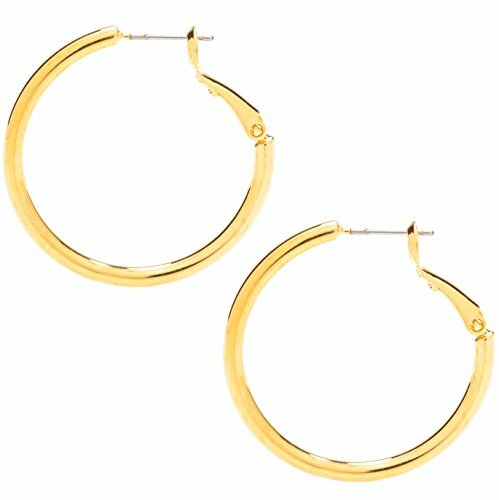 Hypoallergenic metal for Senstitive Ears, Nickel Free, 14K Yellow Gold Plated, High Quality Polished& Thick Plating Small Hoops Earrings. Top Piercing Studs Post, Highest Quality Craftsmanship. Dainty Love Heart Filigree Style Make You Charming And Attractive! Fashion Elegant Huggie Hooped Jewelry Style for Women Girls, Well matched for dress, appointment, wedding and any other occation. Ideal Gifts for Women and Girls. Come in an velet pouch. Great gifts for women, mom,mother in law, wife, godmother, sister, daughter, aunt, best friend, etc. Ideal Birthday Gifts, Anniversary Gifts, Christmas Gifts, Graduation Gifts, Mother's Day Gifts, Valentine's Day Gifts, etc. PEAR CUT: The Pear shape diamond is a blend of the round and the marquise shape due to its tapered point at one end. It is known for its timeless elegance and brilliance. The pear cut diamond comes in a variety of slim to wide cut. Three Prongs on Pear Shaped Diamonds hold the gems securely and give full sparkle to the stones. BLACK DIAMONDS: They are obscure diamonds that come in just a single color: Fancy Black, in contrast to the normal for colors in other color diamonds. Not at all like other color diamonds that get their color from topographical pollutions, black diamonds owe their color to the consideration of graphite and arbitrary bunching all through the diamonds. Black diamonds have developed enormously as far as prevalence because of the celebrities who have been seen brandishing black diamond jewelry. TIRED OF BUYING CHEAP LOOKING PLATED CHAINS? Look no more. 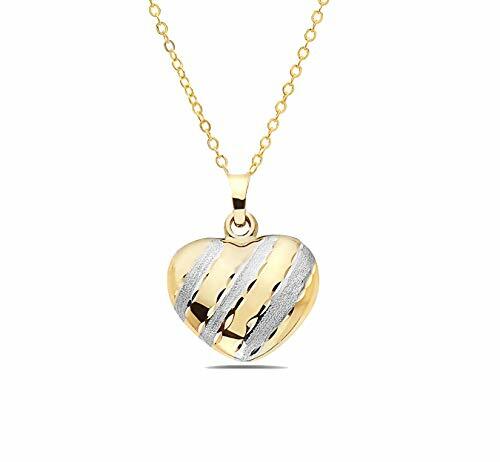 This beautiful 24K Gold Overlay 4mm (0.15 inches) Figaro Necklace is gorgeous! It looks and feels like solid gold and is sold at a fraction of the cost. Comes in a pouch for easy gift giving. 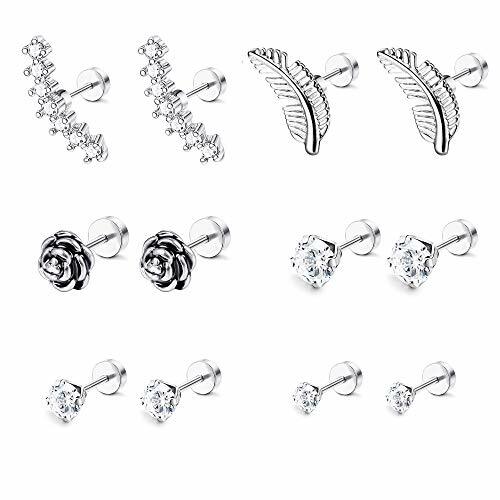 SIX STYLE IN ONE ORDER-- An Order Come with 6 Pairs Stud Earrings,3 Pairs CZ Earrings & 1 Pairs Rose Flower Stud Earrings &1 Pairs Feather Earrings&1 Pairs Helix Earrings6 Style Fashionable Earring Set,Meet Your Everyday's Needs,Worth Buying. 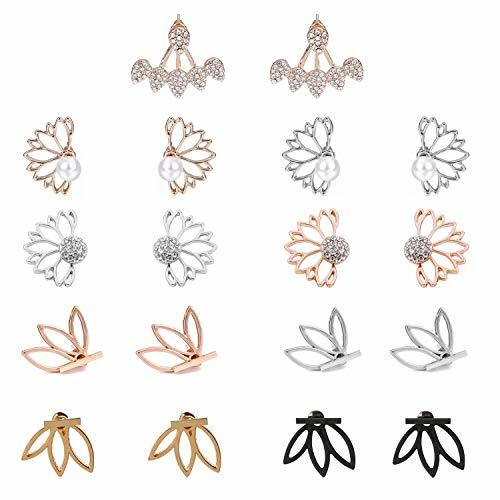 PERFECT DIMENSION--Diameter of Flower&CZ: 7 MM,Pin Length: 6 MM,Post Gauge :1.2 MM,CZ Ball Diameter :5MM/4MM/3MM, Feather Length 15MM, Helix Earrings Length 17MM Perfect Size for Most People.Light Weight Design,Make You Relaxed to Wear. SUPERIOR MATERIAL--Made of 316 L Stainless Steel,Safe Material,Highly Resistant to Corrsion and Tarnishing,Friendly to Your Sensitive Ears.Nickel-free and Lead-free,Safety for Human Skin.High Polished Surface.Select AAA CZ,Solid and Shiny,Deserve Your trust. 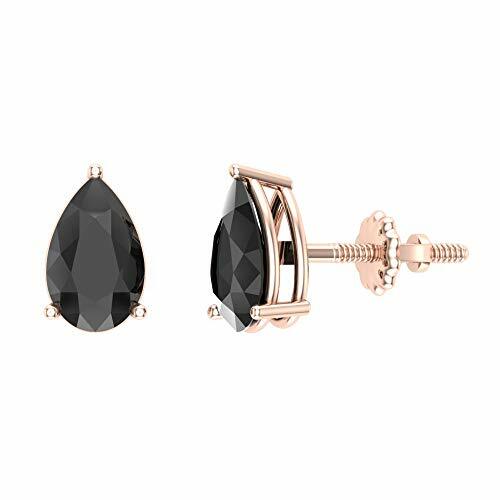 WEARING OCCASIONS--This Stylish Appearance Earring Must Be An Excellent Jewelry to Show Your Special Temperature,Perfect for Party,Wedding,and Traveling and Daily Wearing,Make You Become the Most Eye-Catching in the Crowd. 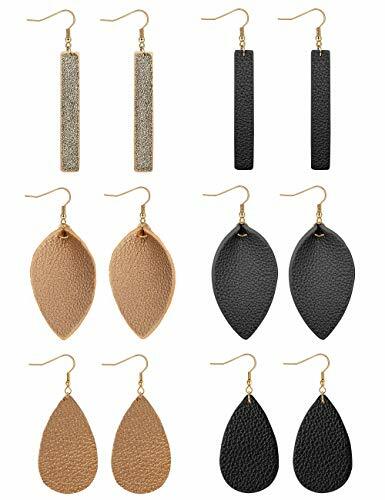 [LEATHER EARRINGS SET] 6 pairs leather dangle earring one pack,3 different style,leaf leather earrings,teardrop leather earrings,bar leather earrings,popular color and style,make you different everyday.Such beautiful earrings should be a part of every womens girls earring collection. [TOP MATERIAL] High quality leather made,lighweight,soft and durable.316L stainless steel post,nickel lead free,friendly to your sensitive ears. [SIZE DETAIL] 1.26*2.12"(teardrop),1.42*2.44''(leaf),0.43*2.56''(bar),perfect length to make you more charming.Vintage simple design, never go out of style.Unique present to your loved ones, like lover, girlfriend, wife, fiancee, daughter, your eemale friends, or even yourself for Valentine's day, Birthday, Christmas day, and So on. [PERFECT MATCH] This stylish leather earrings set goes with everything in Your closet, from your day-to-day office attire, to your evening wear, from your casual workout clothes, to jeans and a T-shirt! Just show your own style in the crowd. [BEST SERVICE FOR YOU] We promise 100 days exchange or money back guarantee,excellent pre-sale consulting and after-sales customer service,If you have any question,please feel free to contact us. ❤ 【LIMITED TIME NEW RELEASE PROMOTION PRICE 9.99, Order it now!】Made of fine 925 Sterling Silver. These tiny cartilage earrings hoop are hypoallergenic, tarnish free and nickel free, which is good for sensitive ears. ❤ 3 PAIRS A SET: each pair diameter:8mm(0.32 Inch) 10mm(0.39 Inch) 12mm(0.47 Inch). These mini unisex hoop earrings are lightweight and comfortable, even no feeling for sleeping. ✿ LIMITED TIME NEW RELEASE PROMOTION PRICE 11.99, ORDER IT NOW. 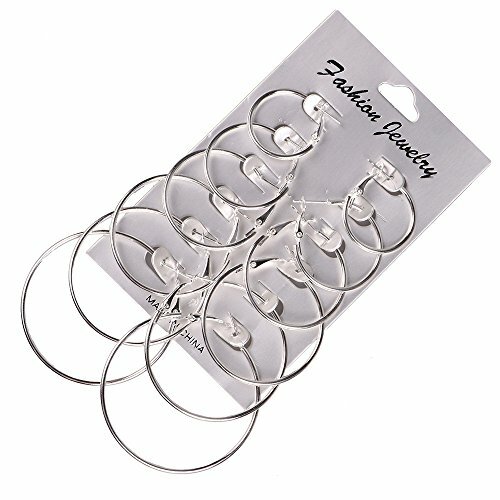 One order includes 4 pairs of different size stud earrings. (Stone Size: 3mm, 4mm, 5mm, 6mm. Gauge Size: 20G =0.8mm) Perfect for for ear lobe piercings and cartilage. ✿ The good quality cubic zirconia with excellent cut and clear color is sparkle like a diamond. Shiny and bling choice for your beloved. Perfect for daily wear. ✿ Crafted with hypoallergenic 925 sterling silver post and back. Nickle free and safe for sensitive ears. 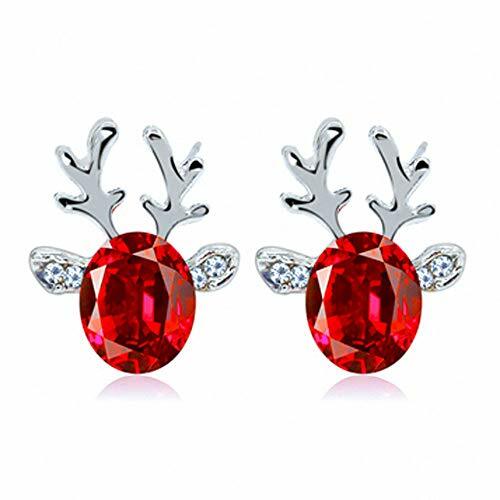 ✿ The classic 4 prongs design will be never out of fashion. 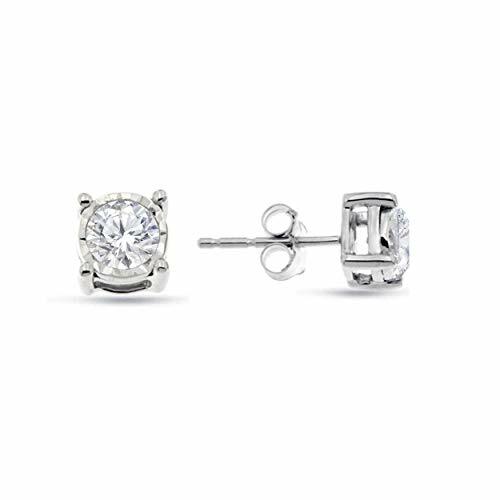 This cubic zircon stud earrings can be worn at any occasions. The solid crytal is held firmly by the prongs and not easy to loose. ✿ 90-Days Money Back Guarantee or Replacement. 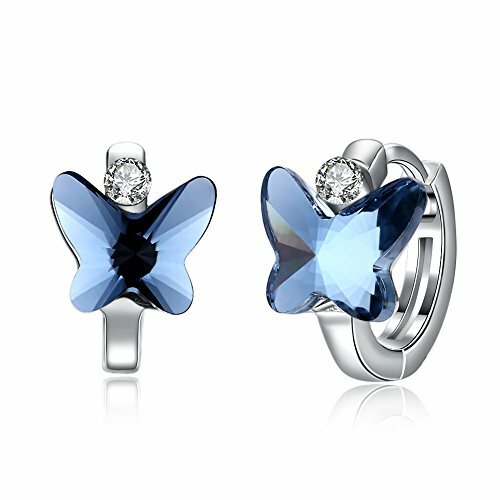 Sterling silver butterfly earrings made with swarovski crystal. Diameter: 8mm/0.31in. Weight:2.5g. Hypoallergenic and nick free earrings. Safe for sensitive ears. ♥Design♥ Love is like a butterfly. It goes where it pleases and it pleases where it goes. The symbol of free love. ♥Crystals from Swarovski♥ Swarovski is famous for its precision cutting and brilliant crystal, which is suitable for jewelry design and creation. Great electroplated workmanship. DreamSter is The ONLY Authorized Seller of This Item and Will Not Be Responsible for Any FAKE PRODUCT. Promise 90-day products exchange or money back guarantee. 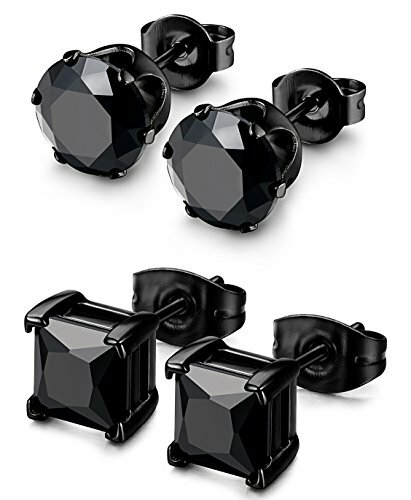 For more fashion jewelry click here - www.amazon.com/shops/DreamSter. COME WITH FREE DreamSter GIFT BOX. Great gifts ideas for friends, sweeter or family on Birthday, Mother's Day, Christmas Day, New Year's Day etc. our products are always backed by a 100% Money Back No Questions Asked Guarantee.